Switzerland is one of the countries with the strictest environmental regulations worldwide. We are not just following those regulations but going beyond them. As manufacturer of rotary unions, car wash and high pressure equipment we are well aware of our responsibility towards nature. 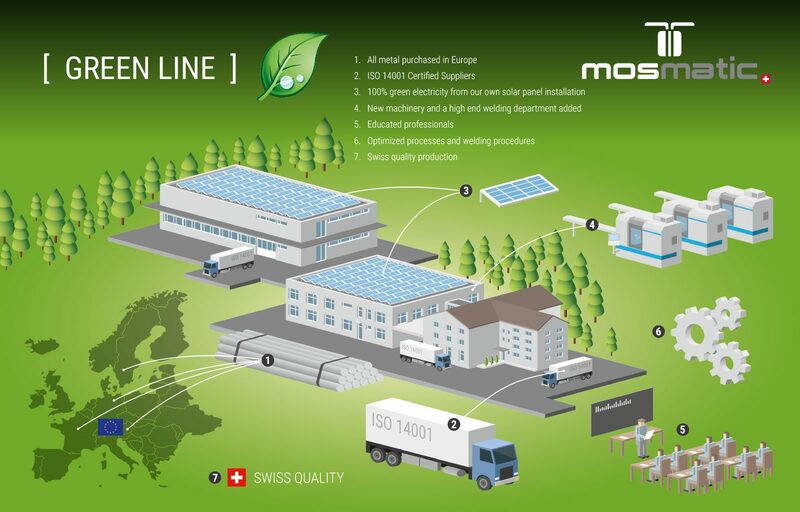 By building a new welding complex at the companies headquarter in Necker we made a conscious decision for the location in Switzerland. Interested how green Mosmatic really is? Get in contact with us and we will be happy to illustrate our green strategy.